SaferVPN has some great European connection speeds and is very easy to use. Editor’s Note: This review was updated November 29, 2018 to reflect changes to infrastructure, improved speed scores, and a new overall review score. A relative newcomer to the world of VPNs, SaferVPN got its start in 2013 with 150 servers in 24 countries. Over the past four years, the server count is now around 700 and its country list is 34. Note: This review is part of our best VPNs roundup. Go there for details about competing products and how we tested them. The Safer VPN interface with its various options revealed. 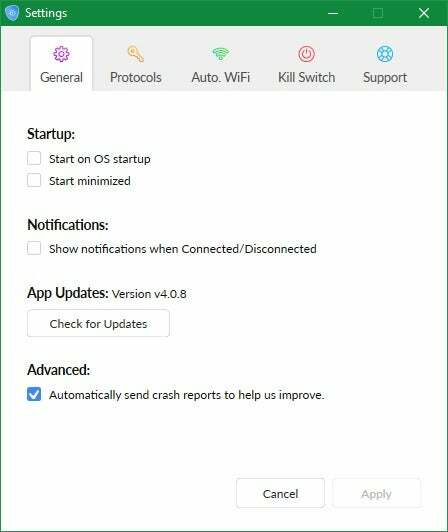 SaferVPN has a very simple interface. The service’s desktop program for Windows features a single panel with a non-interactive map of the world with current status information when connected, such as your PC’s current public IP address and time connected. If you click on the map marker to the right of the Connect button, a second panel shows up on the left with a list of SaferVPN’s possible connections. The list includes 41 options including two U.S. connections, and U.S. and UK streaming servers. In the past the U.S. streaming server hasn’t worked well to get around Netflix’s regional restrictions; at this writing, however, it was working. The UK server also worked with Netflix in my tests, if you’d like to experience the catalog available to folks on the other side of the pond. For those who want to get a few extra features, click the “hamburger” menu icon in the upper right-hand corner and select Settings. From there, you can select a specific VPN protocol such as OpenVPN or IKEv2. If you don’t choose your own protocol, SaferVPN opts for IKEv2 first and then falls back to OpenVPN if that fails. 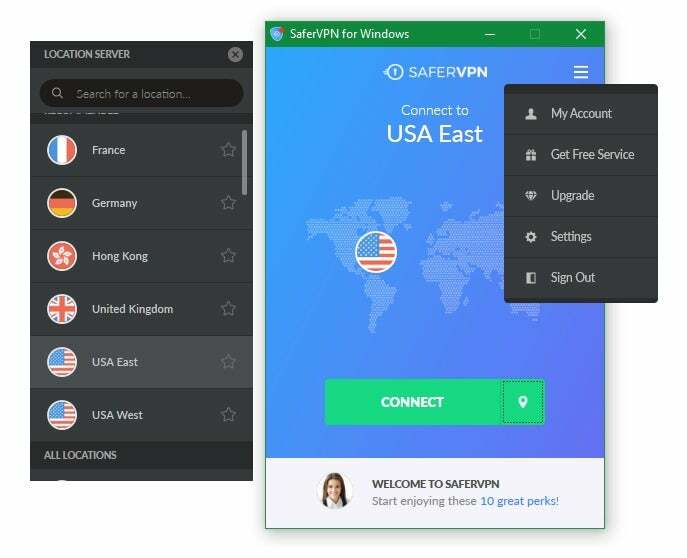 SaferVPN’s settings also include the ability to auto-connect whenever you’re on a Wi-Fi connection, as well as a “safe list” of Wi-Fi networks where you don’t want to use a VPN. 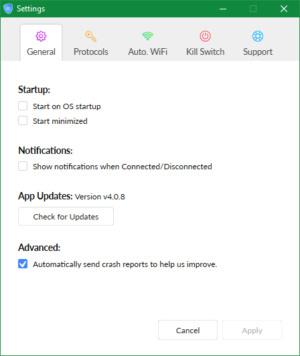 There’s also a kill switch to stop internet traffic when the VPN connection goes down. SaferVPN’s app also fixed my quibble in a previous version of this review. Namely, that the desktop program did not leave the taskbar when you click the “X” in the upper-right corner. Instead, it just minimized to the taskbar. Now it does disappear, and you can re-open it by clicking on the SaferVPN icon in the System Tray. SaferVPN is available for Windows, Mac, Android, and iOS. There is also a Chrome extension and the company sells routers with its services built in. Paid account holders can connect up to five devices at once. SaferVPN’s speeds were much improved in our tests, and, in some cases, very impressive. Overall, SaferVPN’s average speed in my tests came out to nearly 48.75 percent of the base download speed, compared to around 33 percent last time. SaferVPN will definitely get the job done, and its speeds are currently among the fastest. 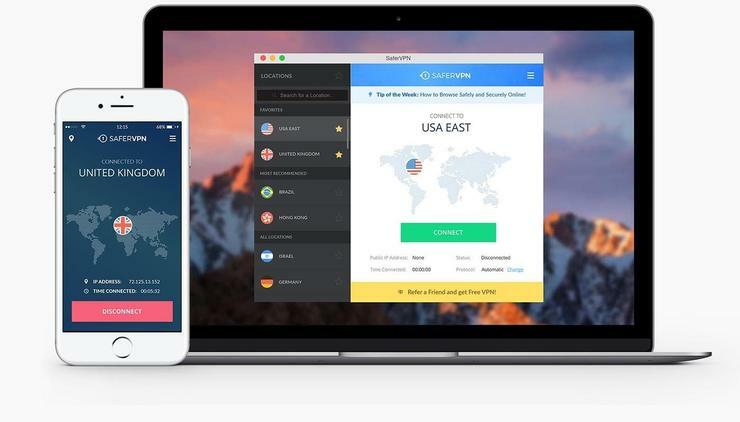 SaferVPN begins by allowing you to run a 24-hour free trial. All it requires from you to start is an email and password. If you decide to sign up, SaferVPN accepts Bitcoin, PayPal, and credit cards, allowing for various levels of anonymity when paying. As far as the company itself, I have personally met with the team to discuss its service. Their offices are currently at 26 Nachmani St. in Tel Aviv. The company CEO is Amit Bareket, and co-founder Sagi Gidali is the Chief Procurement Officer (CPO). 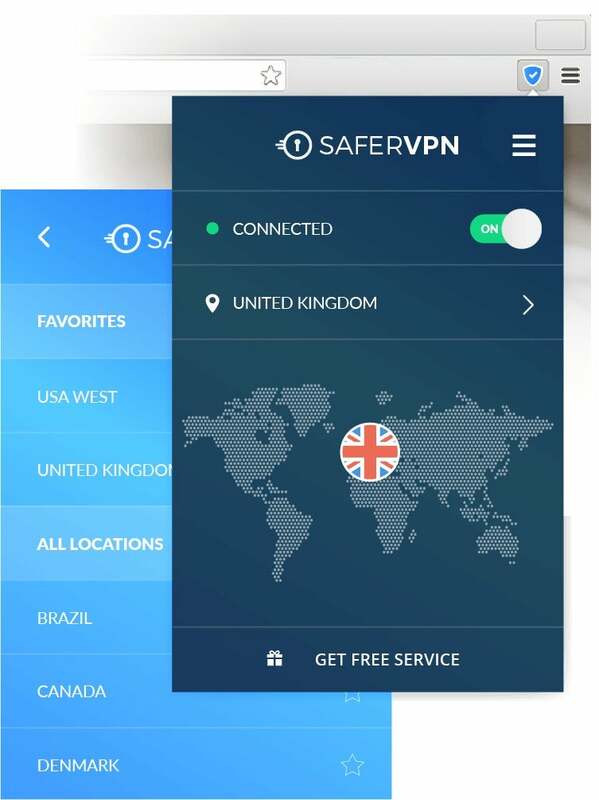 For users who just want a VPN that works and gets you connected securely over public Wi-Fi or at home, SaferVPN is a good choice. The pricing is lower than the last time we looked but still a little higher than you’ll find with the other services we’ve looked at. Overall, SaferVPN is a good service that makes it easy to get started with a VPN but also has a few tweaks available for more advanced users. Editor’s note: Because online services are often iterative, gaining new features and performance improvements over time, this review is subject to change in order to accurately reflect the current state of the service. Any changes to text or our final review verdict will be noted at the top of this article.